Cake flower card champange pizza fireworks. 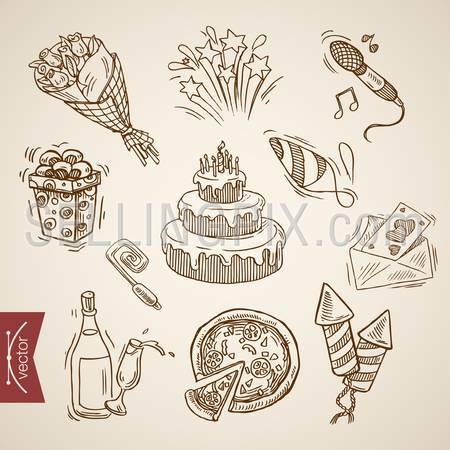 Birthday Valentine holiday handdrawn engraving style template objects set. Pen pencil crosshatch hatching paper drawing retro vintage lineart illustration.